A Plague Year by Edward Bloor. Review: Meth, a dangerous drug, turns a small town upside down. In the story A Plague Year by Edward Bloor, Tom Coleman, a normal boy who works at a local food store living a typical life is experiencing some bizarre things. For example, people are stealing unusual items from stores and grocery carts have gone missing. But that isn't what is really happening. Meth users have gotten arrested throughout the town for using, selling and cooking's a result Zombies appear all over the town threatening the lives of the residents of Black Water. Tom realizes that his life, as well as his family's lives, is in danger. He knows he must do everything he can to protect them. Black Water Pennsylvania changes after 9/11, with an increase in the usage of illegal drugs. Tom is forced to join a counseling group with his sister, Lily that is geared to training kids to avoid drugs. They then learn about all the different drugs that are a big problem. And soon realize how big of an issue meth usage has become. People everywhere are taking this mysterious drug, thinking it makes them feel amazing. But they soon learn that it doesn't. The euphoria only lasts for about a week or two, and then it terrorizes users for the rest of their lives. People everywhere are found dead because of meth including some of Tom's closest friends and family. With everything on the line, Tom has to help his family and friends avoid meth, because if they do they will be lost forever. With everything happening, the question for Tom is: can he survive A Plague Year? 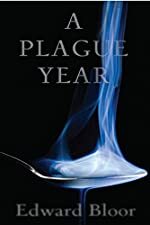 A Plague Year is a great book full of drama and action with some thrilling twists that made me not want to put the book down. For example, when Tom is working at the Food Giant, two men in ski masks were trying to steal ingredients for meth and Tom has to face who were behind those masks. I also liked how the author makes every part of the book a never-ending thrill ride. I think this book would be good for kids in 6th grade and above because of the content. All in all, I think the book is great book for someone who loves crime, drama, and suspense all throughout the book. A Plague Year deserves 5 out of 5 stars. We would like to thank Random House for providing a copy of A Plague Year for this review. Have you read A Plague Year? How would you rate it? 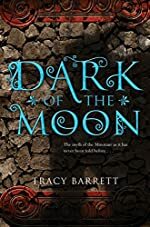 Review: Tracy Barrett has created a new series that will surprise you - Dark of the Moon. Dark of the Moon is the first book in the series. The story starts with Ariadne who is preparing to become Goddess. Her brother named Asterion who is next in line to become the Minos, and her mother, Pasiphae, who is pregnant. Ariadne's brother, Asterion, is locked under the palace. Ariadne's mother, Pasiphae, keeps Asterion confined under the palace by a magical ball of yarn that has many knots to make invisible binds that keep Asterion from roaming about the island. Children are brought to the palace by the guards to play with Asterion, who accidentally kills the children making other Greek communities think that Asterion is a monster living under the palace. Meanwhile, Pasiphae dies during the birth of her child-, and Ariadne is going to become Goddess following her mother's path. The ritual takes place shortly after Ariadne's mother dies. At the same time, the Minos is stepping down-, and Ariadne's brother, Asterion, is next in line to be the Minos. But, because of what he has done, the people do not want him to be Minos. Ariadne asks her friends to help Asterion escape from the city for his safety. Ariadne tries to help Asterion in a way you may never forget but something goes wrong. Dark of the Moon really hooked me with all of its twists and turns. I always wanted to continue reading the book. The book is exciting because of the interesting characters that built up suspense. After the death of Pasiphae, everything that I was expecting changed. I could not predict what was going to happen next; I had to keep reading. I will never forget this Greek mythology book. It also has some fantasy in it. I cannot wait to get my hands on the next book in the series. We would like to thank Raab Associates for providing a copy of Dark of the Moon for this review. Have you read Dark of the Moon? How would you rate it? Wisdom's Kiss by Catherine Gilbert Murdock. Review: So you fall in love with someone who travels far, far away, what do you do? WRITE LETTERS! In Wisdom's Kiss, Fortitude, an orphaned maid falls in love with a boy named Tips, however, Tips decides to travel to earn money. 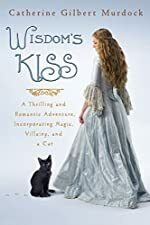 The story of of their long-distance romance is written in letters, skits, and three knight's points of views. . .Wisdom's Kiss is another excellent novel written by Catherine Gilbert Murdock. When Tips travels abroad, what do he and Fortitude(Trudy) do to keep their love alive? They write letters to each other, exchanging gifts, words, and thoughts. Princess Wisdom however, is a whole different story. She is another main character, and has a very important role to play. Wisdom is destined to always be the little sister of Montagne's queen, and is engaged to Lord Rodger, someone she loves and has accepted the proposal. Does she really love him though? Or is it just his attempts to woe her? Will either of the young women find their true love and uncover the truth about their destinies? Murdock is a great, great, GREAT author! If I ever cross another of her books, I'll be sure to read it. To be able to write this book is a fascinating accomplishment. When I finished Wisdom's Kiss, I kept rereading the last page, just to make sure that that was really the ending. I didn't want to know it to be...I didn't want it to end. I doubt that with all the events in the book, there could be a sequel, but I want one anyway. I rate this book 4 out of 5. It was a really awesome book. It really is, but how it was told was kind of hard to understand at times. It was told through letters, skits, and knights, and that's really cool, but when I was reading it, I found it kind of hard to understand. I had to skip and reread a lot of parts, however, that might have also been my fault and not necessarily the fault of the author. But it is still worth mentioning. I didn't understand a lot of it, so when I got to the end of the book, I had to look through the book for clues as to how to understand how the story was organized. Finally, I found something useful, and I began to reread the book. The second time I read it, it made a LOT more sense to me. It was a good thing I found the information, because the story had such an intriguing plot! All in all, I highly recommend the book for advanced readers due to the complexity of the story line. We would like to thank Houghton Mifflin Harcourt for providing a copy of Wisdom's Kiss for this review. Have you read Wisdom's Kiss? How would you rate it? 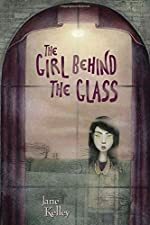 The Girl Behind the Glass by Jane Kelley. Review: Would you like to move out of your house? Your neighborhood? To a house that is haunted? This is what happened to 11 year old twins, Hannah and Anna in Jane Kelley's The Girl Behind the Glass. They have to move from Brooklyn, to a house on Hemlock Road because their older sister doesn't get into a decent private school. Now their life is going to go through some major changes that they are not ready for. Hannah and Anna move to a house they are renting until the house they bought is ready. There are bats in the attic, mysterious winds, and a haunted closet. The twins want to use the houses' mysterious qualities against Selena, their older sister. But Selena and Anna start to adjust where Hannah does not. Hannah hears and sees strange things. Why is she the one that hears and sees all of these haunted and mysterious occurrences? Their mother considered them to be one person because they were so much alike and called them "HannahAnna." Hannah and Anna start to realize they are not one person, but two separate people. With all the noises and strange occurrences you start to try and figure out is someone or something trying to separate them and why. While reading The Girl Behind the Glass by Jane Kelley, readers get involved with trying to figure out who is this ghost and why is this happening. Readers also are trying to gain an understanding about what families experience when life doesn't go the way they have planned. 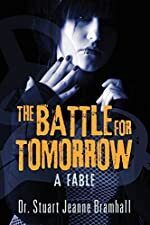 I would suggest this book to read as it is a book that always keeps readers wondering and interested because there are surprises in every chapter. I was interested in trying to figure out who the narrator is in the story. I think people from the age of 10 - 13 would enjoy this book. I rate this a 5 out of 5. We would like to thank Random House for providing a copy of The Girl Behind the Glass for this review. Have you read The Girl Behind the Glass? How would you rate it? The Dragon in the Volcano by Kate Klimo. A Dragon Keepers Book. Review: Have you ever had an unusual friend? What about a dragon? The Dragon in the Volcano by Kate Klimo is the 4th installment of the Dragon Keepers series. The main characters are Jessie, Daisy, Emma, and more. The Dragon in the Volcano is about two cousins, Jesse and Daisy, who are Dragon Keepers, and their pet dragon, Emma. Emma usually disappears when the cousins go to school, but she comes home all of the time. However, one day, when Jesse and Daisy come home from school, they find that Emma is missing! They ask for help from their friends and follow a trail of socks that Emma has left behind that leads into the Fire Realm. The Fire Realm is a magical realm where dragons and fire fairies live. Jesse and Daisy find Emma there, but she wants to mate and live in the Fire Realm. Can the cousins bring Emma back to their home or will they lose Emma in the Fire Realm forever? 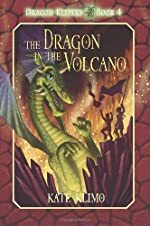 The Dragon in the Volcano is an adventurous story! I really liked it because the plot of the book is very well done. When Jessie and Daisy found Emma in a volcano, I thought that she would go with them to her home. But, the plot twist excited me. I didn't know that Emma wanted to stay in the Fire Realm and not go with her friends. It was surprising to me. This book is equally compelling as the Magic Treehouse series. 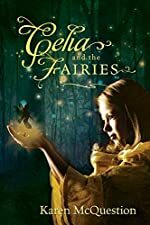 Kids should read this if they like magic, adventure, and lovable characters! The Dragon Keepers series is written for children ages 7 to 12. We would like to thank Random House for providing a copy of The Dragon in the Volcano for this review. Have you read The Dragon in the Volcano? How would you rate it? Lives of the Writers: Comedies, Tragedies (and What the Neighbors Thought) by Kathleen Krull & Kathryn Hewitt. Part of the Lives of the … Series. Review: Writing, Writing, Writing! Lives of the Writers: Comedies, Tragedies, (and What the Neighbors Thought) by Kathleen Krull & Kathryn Hewitt is part of the Lives of the… series. This series' characters are 20 famous writers of varying genre and background. Lives of the Writers is about what famous writers did when they weren't writing. Some writers that are included in the book are William Shakespeare, Emily Dickinson, Mark Twain, Edgar Allan Poe, and E.B. White, to name just a few. The focus of the book is to mostly show who these writers really were as "people" and what other people thought about them. It lets readers know how they began writing and answers questions about their very lives. Lives of the Writers provides information about their family and their life - from their birth to their death. In a fun way, it helps readers better understand these writers. It shows who they really were before they started writing poems or stories. I think Lives of the Writers is AMAZING. I love how it shows all about different writers and their lives. I also like the descriptive stories about them. What I like most of all is their interests. They were all very different people and somehow each of them ended up becoming a notable writer. Each writer dealt with many problems in life, and they wrote stories and poetry based on their everyday life which eventually led each writer to become famous worldwide. Oddly enough, many people thought of them as unusual or in some cases, people just plain hated them. I just totally admire how all the craziness in their lives added up to creating a famous writer. An unusual life would equal a story. I think others should really read this book not only because it gives a lot of information about … Lives of the Writers, but it also shows how all the trials in life can come to greatness in this world. I certainly expect to read many more books in this series. I rate this book 5 out of 5. If you like comedies, tragedies and opinions, this is the book for you. 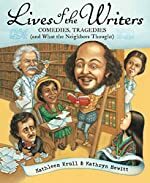 We would like to thank Houghton Mifflin Harcourt for providing a copy of Lives of the Writers: Comedies, Tragedies (and What the Neighbors Thought) for this review. Have you read Lives of the Writers: Comedies, Tragedies (and What the Neighbors Thought)? How would you rate it? Mistress of the Storm by M. L. Welsh. 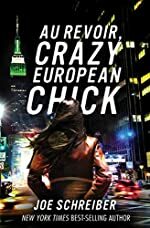 Review: Have you ever desired to read a book that holds mystery, suspense, action, and fantasy? 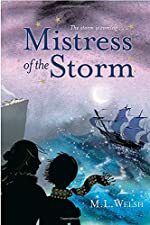 Well, Mistress of the Storm is the book to read! Mistress of the Storm is written by M.L. 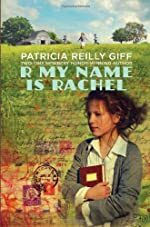 Welsh and is about Verity Gallant, just another unpopular girl, until one day when she receives an ancient book from a stranger along with a small, wooden ball. 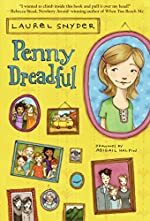 At school Verity has never been very well liked, but when she becomes friends with Henry and Martha, they work together to find out the information behind these mysteries. 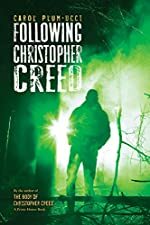 In their town, Wellow, they uncover little-known history, and the more they know, the more people get involved with the mystery. Everything in Verity's life is unexpected. She finds out that her mother is pregnant soon after receiving the two gifts. Verity also finds out she's a natural at sailing. She has discovered that stories in her new book are actually true and not just legends. Plus, Verity has been noticing a boy following her. As if that is not enough, in the autumn, her unknown grandmother comes over after hearing about the pregnancy. A story that was written is destined to come true, and Verity has a big part in it. Everything is complicated, but Verity knows she can't give up, because if she does, she could lose her new sister and possibly more. Nothing is as easy as she imagines. M.L. Welsh is an amazing author and makes you feel almost as if you're a part of the story. The characters are very well described; you could imagine their appearance exactly. The author is very imaginative to make up all of the characters, setting, and plot. The whole story is creative! Points of view are added, apart from Verity's, so readers can see what other think of a particular situation. Mistress of the Storm is very suspenseful and mysterious. Everything you know might be only what you think. Verity learns a lot about life in this book. She learns to sail, to stand up for herself, and to do what she feels is right. We would like to thank Random House for providing a copy of Mistress of the Storm for this review. Have you read Mistress of the Storm? How would you rate it? Gifts from the Gods: Ancient Words & Wisdom from Greek & Roman Mythology by Lise Lunge-Larsen. Review: "How dare you shame the gods?" That's what the mortals in ancient Rome and Greece were often told by a god after a foolish thing that they had done. They can never escape from the gods and after they die, they are punished forever. The book, Gifts from the Gods by Lise Lunge Larsen is about words that we use in the present, but originated from ancient Greeks and ancient Romans. It takes the word, tells its definition, uses it in a sentence and then, tells the story of where the word came from. These stories involve the gods and usually a mortal who is foolish and does something they regret. Gifts from the Gods is a really interesting book about Greek and Roman mythology. I like this book because of the way the author explains the stories and because I really like anything with Greek and Roman mythology. The book is educational, yet fun to read. I also like the book because it is simple, yet complicated. It tells the stories of heroes, gods and mortals. Readers are kept on the edge of their seats wondering what they will do next. The gods could punish the mortals or take pity on them. The hero might successfully battle or might be killed in the fight. The mortal could make a very wise decision or make the most ridiculous decision ever. The book always kept me guessing. It has taught me so many myths and words. I also loved hearing how alert some gods were, while other gods hardly noticed what happened. Some gods were mighty and all powerful, but some were often overlooked. It was intriguing to see how different the gods were from one another. My favorite goddess is Athena, the goddess of wisdom, war strategy and weaving. But the stories are not the only things I liked. The pictures are absolutely amazing. They almost seemed to move! At the end of every story, there is a short section that includes information about the story to help it make more sense. Gifts from the Gods is a book that you should definitely read if you like mythology. It is a captivating book that I couldn't put down. Literally, I finished the book in a day. The author did an amazing job with this book, and it would satisfy anyone who is looking for a thrilling book. I recommend Gifts from the Gods to anybody, especially if they are interested in mythology. Lise Lunge-Larsen is a really creative author who did an astounding job writing this book. I give it five stars because that's exactly what this book deserves. It kept me hooked, amazed, entranced, etc. This should be read by many people, and I hope that happens. Gifts from the Gods will most definitely catch a reader's eye. 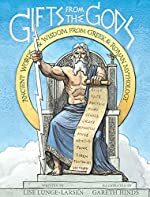 We would like to thank Houghton Mifflin Harcourt for providing a copy of Gifts from the Gods: Ancient Words & Wisdom from Greek & Roman Mythology for this review. Have you read Gifts from the Gods: Ancient Words & Wisdom from Greek & Roman Mythology? How would you rate it? The Chamber of Five by Michael Harmon. Review: Money. Money equals power, and power equals control, Jason, and our government makes sure it stays in the right hands. . . . The lines of power must be maintained, and we are the inheritors of that power, for the good of those who don't know any better. It's why we exist. It's why you were chosen. 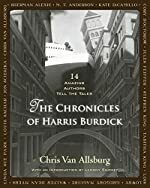 But, seventeen-year-old Jason Weatherby in Michael Harmon's novel, The Chamber of Five, doesn't agree, and he risks everything to prove that power belongs in the hands of many - not few. Jason attends Lambert School for the Gifted, but he knows exactly why he was accepted, and it's not because he is anywhere near "gifted", unless that is if they consider his father's bank account as a measure of his IQ. As an influential senator, Jason's father has made sure his son has been always offered the best money could buy. But Jason wants none of it. As Jason struggles with an abusive father and a post in the Chamber of Five (the most influential decision-making body in the school) - a post he never wanted, he also grapples with his desire to change the Lambert School at it's very core. When Jason is given his task to "prove" his loyalty to the Chamber, he knows they have gone too far. Rather than destroy another's life as the Chamber has requested, Jason works from the inside out to destroy the very foundation of his school. He risks everything, including his relationship with his father and even nearly his life, when he sides with those who are truly gifted to stand up against the leaders of the school who are merely monetarily gifted. 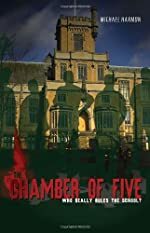 The Chamber of Five is a fast-paced novel about the dangers of privilege. The leader of the Chamber, Carter, paints an alarming picture of a corrupt American government. He points out that "Only men who owned land could vote when our country came into being. A small percentage of the population controlled our 'republic' until the law was changed, and it's been a struggle ever since. Our forefathers knew that to give power to the man with nothing would be the beginning of the end for America." His words force the reader to really think about the lines that exist between the rich and the poor, between the leaders and the followers. Put in the context of a high school government, Harmon takes a certainly disturbing concern and brings it to an understandable and poignant level for middle and high school readers. The ultimate message revealed after Jason's quest is an important message for all readers. Certainly mature middle school and high school readers will finish The Chamber of Five with a new understanding, and possibly new fear of politics. Harmon has superbly brought the dark side of politics to the youth of today. By doing so, he might be positively influencing the politics of tomorrow. We would like to thank Random House for providing a copy of The Chamber of Five for this review. Have you read The Chamber of Five? How would you rate it?